Type RGT-50-RT children balance is used for weighing childrens weight,height and height sitting in the seat in any posture of standing,sitting or lying. Therefore, it is specially suitable for the weak anddisabled children. 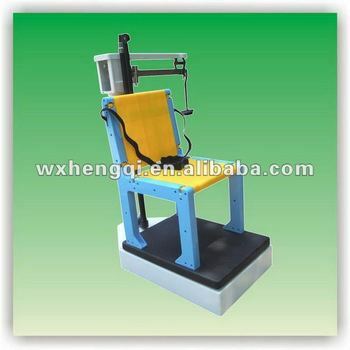 It adopts lever-scaleplate structure featuring highaccuracy. The reading of weight is manually indicared on the scaleplateby means of sliding weight so that it is easy to be operated.